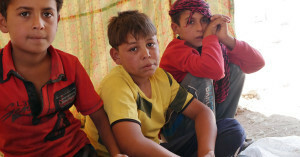 Fallujah has been under the control of ISIS and many men, women and children have already fled to local refugee camps where they live in awful basic conditions, often with 2 or 3 families sharing a small tent. Recently the Iraqi army has managed to take back control of parts of Fallujah enabling others who have been held hostage by ISIS to escape. They are now flooding into the refugee camps. On 23 June 2016 the Norwegian Refugee Council at camps outside Fallujah announced they only had enough donations to provide food and water for another 30 days. Please give what you can. At current exchange rate $30 is around £20.